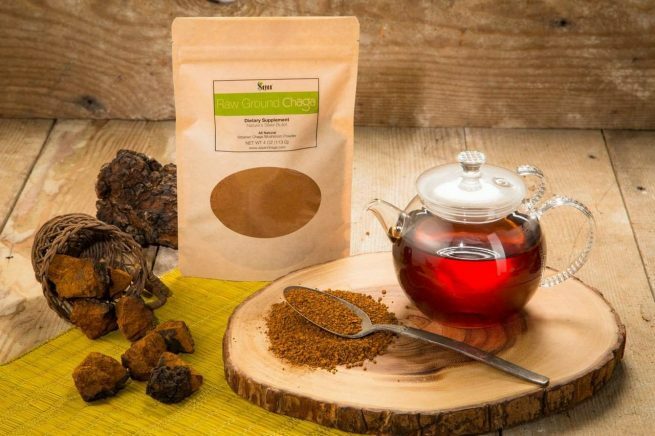 Although raw chaga tea has only recently caught on in mainstream health circles, Russia folk medicine has leveraged the power of this medicinal mushroom since the 16th century. In its pure, virtually unprocessed form, chaga powder has a high ORAC value, reflecting its ability to reduce oxidative stress. 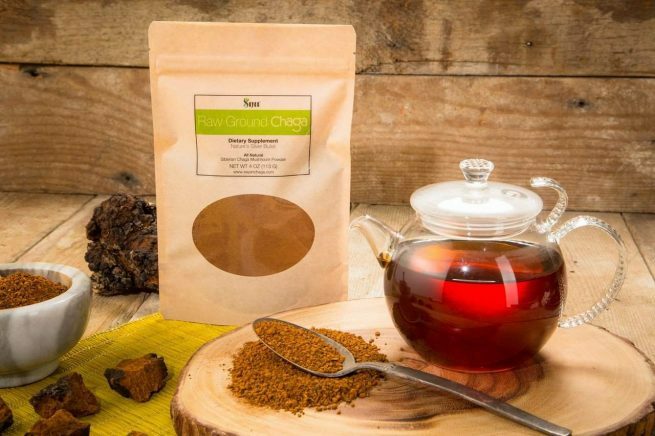 For the best raw chaga benefits, combine chaga powder with your favorite beverage. Raw mushroom chaga powder can be brewed as a tea or mixed into smoothies and other beverages. It tastes good, is simple to prepare, and can help support well-being in numerous ways. 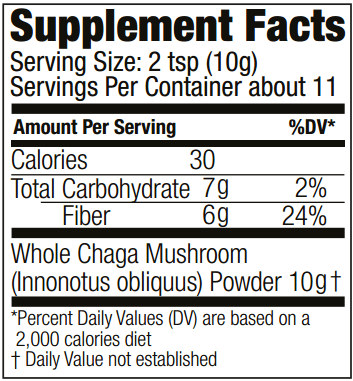 Recent scientific studies have uncovered a variety of potential health-giving benefits of mushroom chaga powder. Chief among these benefits are that chaga is an adaptogen, which is a natural substance that can help the body adapt to stress and help normalize bodily processes. Some people prefer to use raw chaga powder because it is unprocessed. 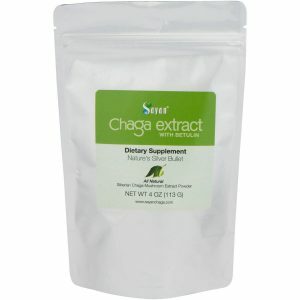 We developed a proprietary method of drying wild-harvested chaga to eliminate the bitter taste in the tea you are brewing from this amazing mushroom. Whether you would like to purchase raw Chaga or Chaga extract we offer several options at our online Chaga store. Please note that chaga extract is more potent form – one pound of Chaga extract contains approximately 6.25 pounds of raw Chaga. Please visit our FAQ section to earn more about Chaga medicinal mushroom. 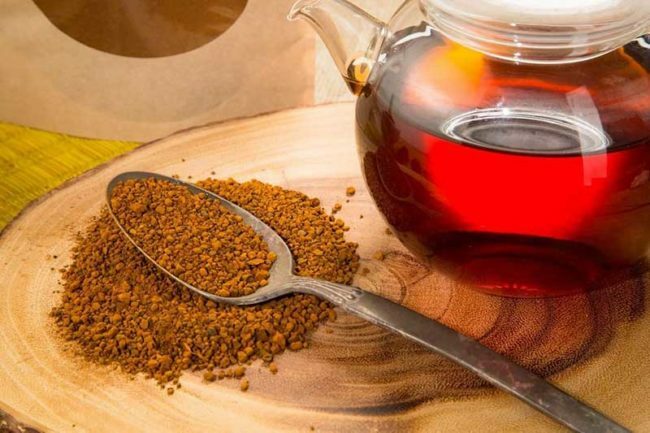 Chaga is a medicinal mushroom that grows on birch trees in cooler climates, including zones in Russian, Eastern and North Europe, the northern U.S., and Canada. However, Siberian chaga is known to be the most potent due to the specific ecoregion created by the area’s unique extreme swings in temperature. Because we prize the highest levels of health benefits, we only source the Siberian variety. Although the power of chaga mushroom power is only beginning to become more well-known throughout popular health circles and forums in the West, chaga has been used by folk healers for thousands of years. Even Alexander Solzhenitsyn, in his 1967 novel Rakovii Corpus, references the fungus. It’s only a matter of time before this little mushroom takes on the world. Our chaga mushroom powder is minimally processed and derived from sustainably sourced chaga direct from the Sayan Mountains of Siberia. The shelf life of raw chaga is 2 years, and each package of chaga powder we send to you has undergone a strict quality control process to ensure that the chaga you receive is as pure as possible and has not been compromised. All our chaga powder is 100% natural and gluten-free. With benefits backed by hard science, you’ll know you’re getting a product delivered by people who care about your longevity and overall health. Why Choose Sayan Health Raw Chaga Powder? Raw powder is a less expensive alternative to our chaga powder extract. 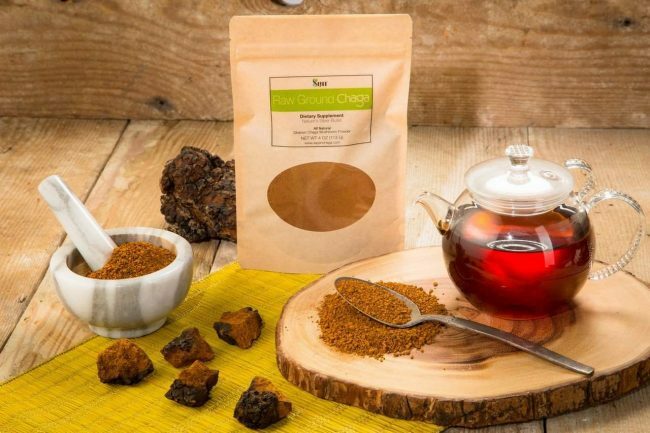 Featuring similar benefits and completely natural ingredients, buying chaga powder is the closest thing you’ll get to harvesting and grinding the chaga yourself – without all the hard work. Give a gift to your immune system, skin, and energy levels with Sayan mushroom chaga powder. 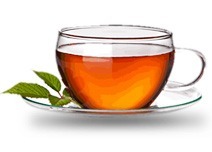 This home-brewed tea is a great additive for your daily diet. * We have been offering the finest-quality raw chaga products since 2007 and delivered them to many customers around the globe. Ingredients: Whole Chaga Mushroom (Innonotus obliquus) Powder. Pour warm water (no hotter than 122º F) over 4 to 5 teaspoons of raw chaga powder, and let steep for 30-40 minutes. Enjoy earthy, soothing flavors from your favorite mug. For best results, take a 5- to 7-day break from taking chaga raw powder every 24-28 days. In other words, take it for about 4 weeks, stop for a week, take it for another 4 weeks, and continue the cycle. While taking raw chaga mushroom, we recommend following a dairy-vegetative diet and minimizing consumption of smoked meats, products high in animal fat such as bacon, strong seasonings, and processed foods. Caution: Avoid consuming chaga if you are currently taking penicillin or intravenous injections of glucose, in case of adverse interactions or side effects. I drink this to help my immune system The way it makes me feel, reminds me of coffee which is great because this is a 100x healthier. The way the chaga powder comes in a well insulated bag and it’s finely powdered. Great item. I use it daily in the morning in anything I drink boiled. Delivery was fast and this product is actually really good. Will continue using it forsure! I saw this review on making it with ice tea and I had decided to try it, best thing ever. Very tender taste. Put this in my oatmeal and coffees in the morning. Great product. Fantastic as an afternoon pick me up! As a mushroom lover, I found this one while searching for best mushroom supplements. As Sayan is a big brand when it comes to pure and potent chaga supplements. So I decided to try it. It’s delicious and mellow. I don’t taste mushrooms, but the flavor is very pleasant and earthy. I can’t say whether it makes me healthier or not but I like the energy boost that I feel after having a cup in the afternoon. Very good. This raw chaga powder doesn’t totally dissolve in a shake but i don’t mind because pieces are very small. Awesome as tea and great to use in oatmeal! 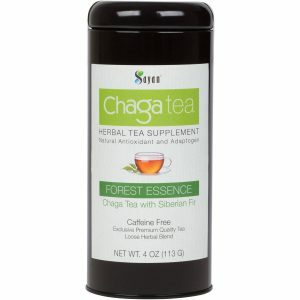 Sayan Chaga is the real deal … at great price! 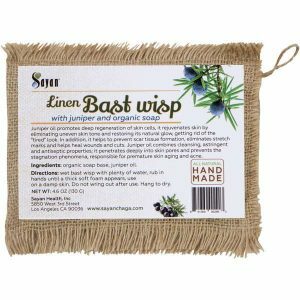 All I can say about this product is GREAT! I used to drink Chaga in cubes(chunks) but now I discovered in powder and I’m in love! It supports mine and my family’s health. I like Chaga because it gives me energy, I love the way chaga make my body feels. The detox benefits are huge. I like rich flavor and aroma of this tea. Sometimes I add a little bit of honey when I feel like having something sweet. I’m very glad I have access to purchase this purest Chaga. I was reluctant to stop my habit of taking strong black coffee. When I heard about the taste of chaga I decided to experiment by mixing a tablespoon of chaga powder with a teaspoon of ground coffee powder. I used my regular coffee maker with a regular coffee filter, because I read people complaining about the chaga powder filtering. And here’s what I found.. Usually it does take a bit longer to brew but I get nice blend of chaga and coffee cup. Will Order Again … Very Happy with my Purchase. Great quality, Delivered faster than expected. I will be recommending to family and friends.